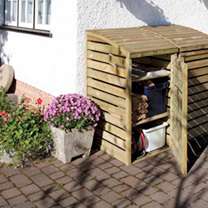 A handy way to hide your recycling boxes and keep your garden looking tidy! 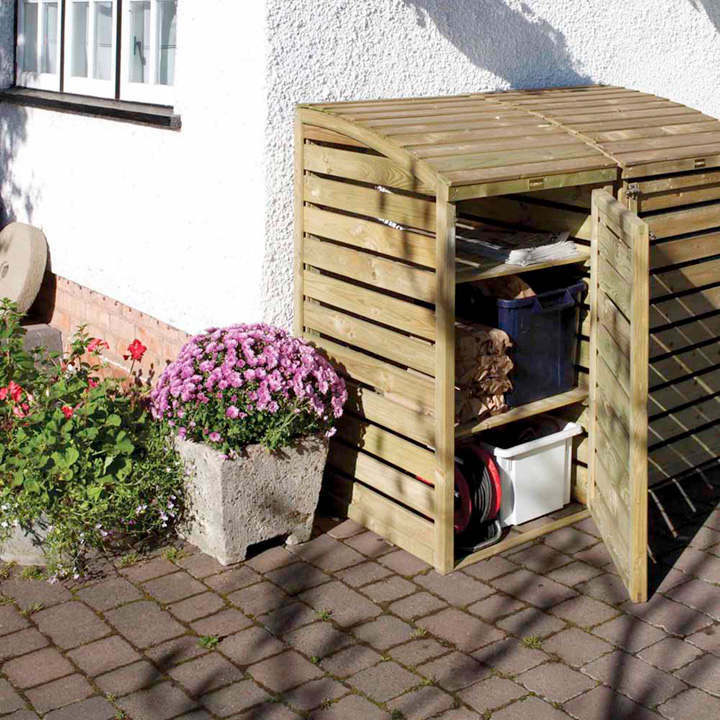 Includes two shelves, which can be set at any height, and an opening lid. Natural timber finish, pressure treated against rot. Image shows Recycling Box Store (open) next to a Single Bin. Flat packed for home assembly. Maximum overall size 73cm (28¾") wide x 82cm (32¼") deep x 128cm (50¼) high.